One of the things that I had a hard time switching was a deodorant once I was told how awful they were. I knew it was bad but ignored the warnings because “everything causes cancer”, right? However, when it was time for my little girls to start using it, I couldn't just ignore the warnings and give them something that could potentially cause breast cancer, alzheimer's and more. The problem... it takes a few months for your body to react (aka stop stinking) to a new deodorant. I had been using an antiperspirant for so long that when I tried switching to all natural, I never knew if the deodorant was working or if my body just hadn't had enough time to heal itself. Nothing all natural was working! I used several brands and finally just asked everyone on fb what they used. 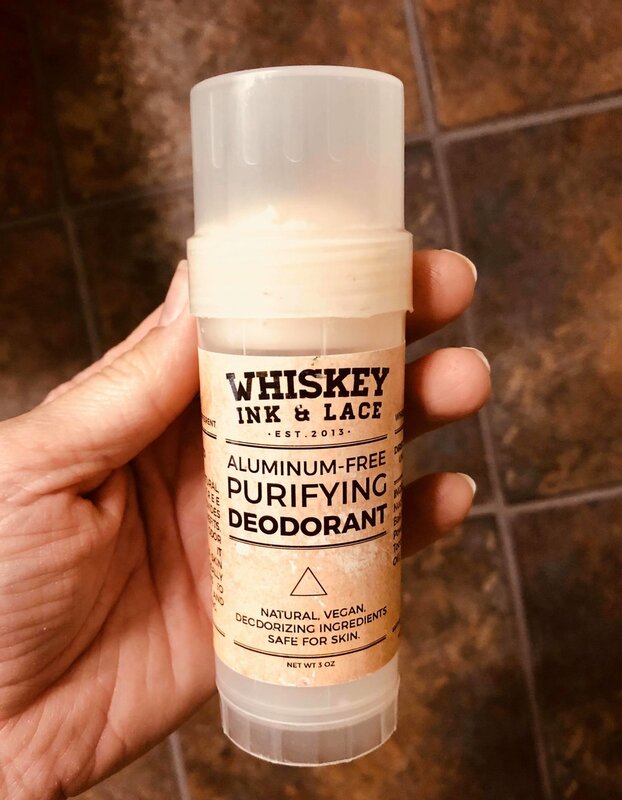 The Whiskey Ink and Lace deodorant was my last stop! It took a little while to detox but I finally found the perfect one that I felt confident in using and knew I could give it to my girls (ages 8 & 10) and they were safe. We buy the unscented kind and have 2 tubes auto shipped each month so I never need to worry about going out of stock. Now, just a heads up; when you get the deodorant tubes in from the mail and it’s cold outside, you need to let them sit indoors so they can warm up. If you twist the bottom piece too hard for the deodorant to come out of the tube then it’s not ready and will break a piece inside the tube which causes the deodorant to be stuck inside of the tube. I did this on my first 2 tubes and contacted customer service; they were amazing! I switched in January so it was still cold outside. However, I knew the true test was around the corner when Wilmington, Ohio's weather hits hard in June/July. So far, so good and I plan to stick with using this company for a while. All views expressed on this site are my own and do not represent any entity whatsoever with which I have been, am now or will be affiliated.